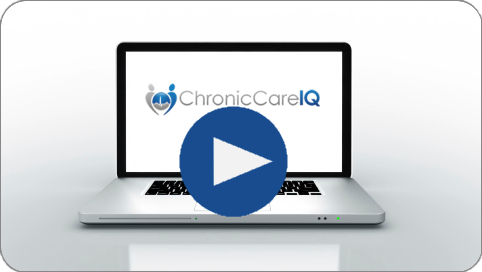 HomeAbout ChronicCareIQHow Does ChronicCareIQ Work? Your provider and care team will work with you to get you enrolled in the ChronicCareIQ program. After enrolling, you will log in at a set frequency (typically three times per week), using your smartphone, computer, or tablet, to answer basic questions regarding your health status and/or vitals. The answers are immediately sent to your CCM care team, who will review them. If any concerns arise, your care team will contact you directly. Now That I am Enrolled, What Do I Do? After your physician and CCM care team speak with you about the program and you agree to enroll, the program coordinator will work with you to create a log in and help you set up the application on your smartphone, tablet, or personal computer. Your physician will schedule a customized set of questions for you to answer. These questions will help your provider and their care team monitor your health status, and proactively monitor for any health changes which may require their attention. Please Note: If you do not have access to a mobile device or computer, then your care team may reach out to you directly over the phone to obtain your health status. How Does My Doctor Know What My Needs Are? By answering the questions on a regular basis, as prescribed by your physician, the CCM care team will be able to view your health and vital status trends. Questions and responses are securely monitored by your CCM care team. Your care team will typically check for updates to monitoring data during business hours, three times per day. For specific, non-emergency issues, you can also send a message to your care team, to request for them to contact you via phone.